Families today are busier than ever! Overwhelming commitments have parents running place to place with only enough time to throw things out of the car before leaving again. 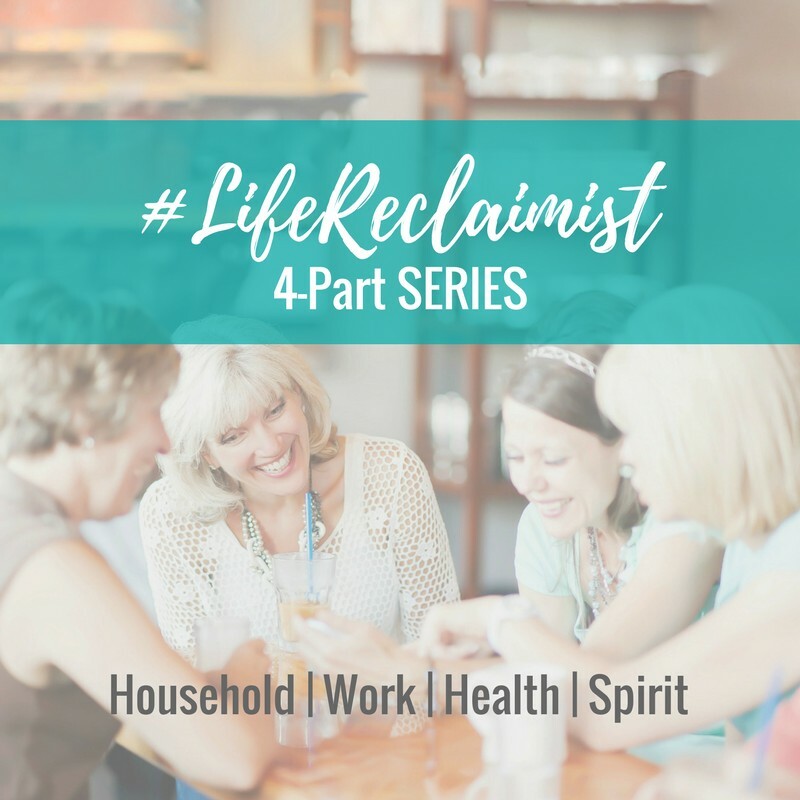 Living without margin and a sound family organization system can quickly turn into overwhelm, impacting the home and the family itself. 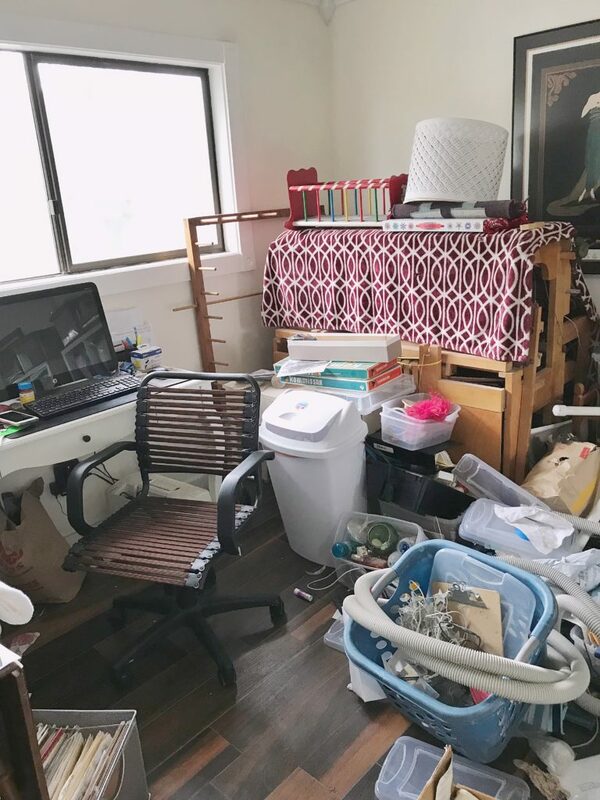 To restore sanity for one family, we recently helped a mother of three reclaim her home office and create a working family organization center. 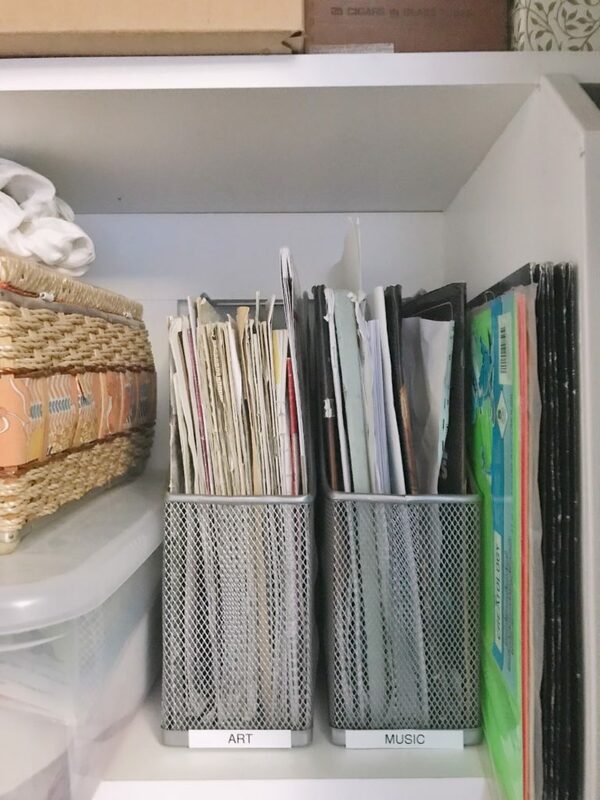 Eventually, the sheer volume and types of things crowding these spaces can be an imposing organizing challenge. When we arrived, we found a home office like so many others we’ve seen – a catchall of household clutter. Often, “private” spaces in the home become dumping grounds and take the most clutter abuse. 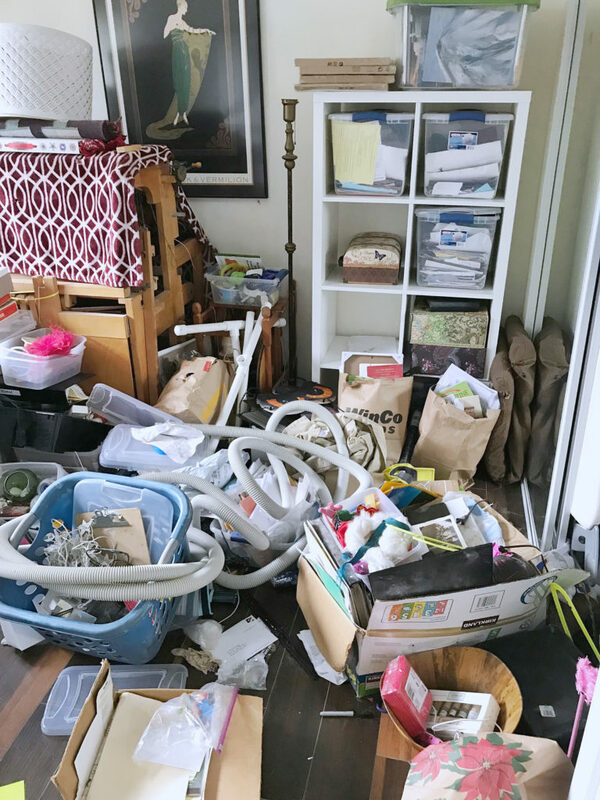 “Private” spaces in the home often become dumping grounds and take the most clutter abuse. In this home, the location of the office made it a convenient over-flow space for all types of items, from crafts to laundry to the central vacuum tube. Buried under the clutter were special items such as memorabilia and an antique loom and sewing machine. The client’s desk was nearly unreachable. Because of the room’s status as a dumping ground, everyone reflexively participated in the stash-and-dash that kept the piles growing! What is collecting in the space and why? What are the problems experienced with this cluttered space? Who uses the space now? How would you RATHER be using the space? What would be an ideal use of this space? How could the room be re-appropriated for this ideal use? What would draw you into the room to accomplish this ideal use? Which items would need to be relocated elsewhere that don’t belong with your room’s ideal purpose(s)? To make this room serve its ideal purpose, what roadblocks or family patterns would need to be resolved? Learn about your habits from examining your clutter. Keep treasure hunting until you’ve imagined a space that you’re excited about! This is where the creativity begins! 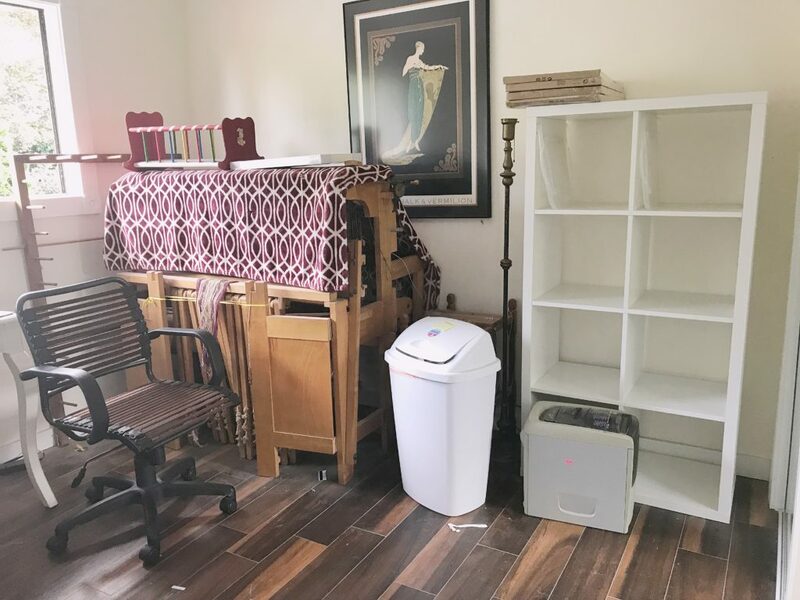 Our client needed a place to handle all her incoming paper. Another priority was a dedicated space to organize items related to her kids, such as finances, schoolwork, memorabilia, and activities. 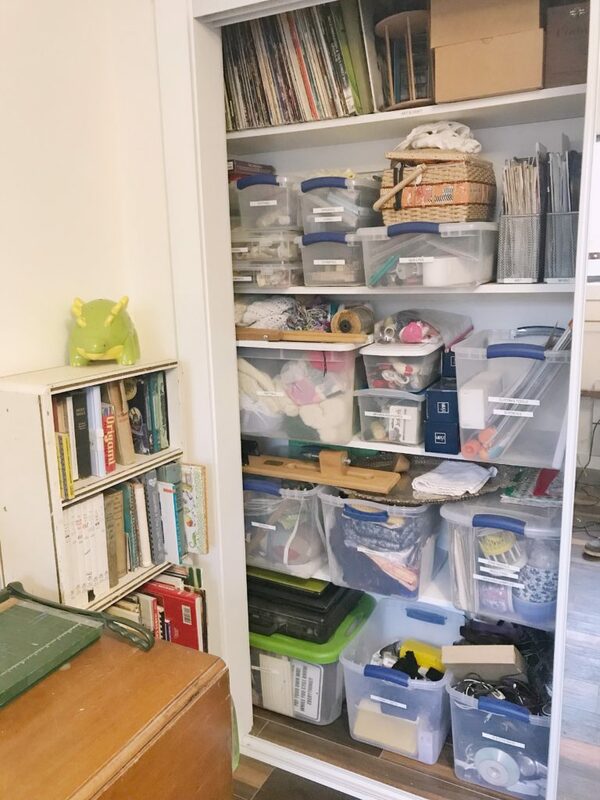 Finally, she wanted to access the craft supplies and have space to use them. The next step is to empty everything from the space. In a space that has collected a variety of items and clutter, it’s best to clear out down to bare bones and start fresh. Remove everything except furniture. You may be surprised how MUCH stuff can come out of a room, so be prepared with a sort staging area. Remove items to a staging area with boxes labeled with the type of item. Bankers boxes are perfect for this! As you empty, macro sort items into these labeled boxes and zones. 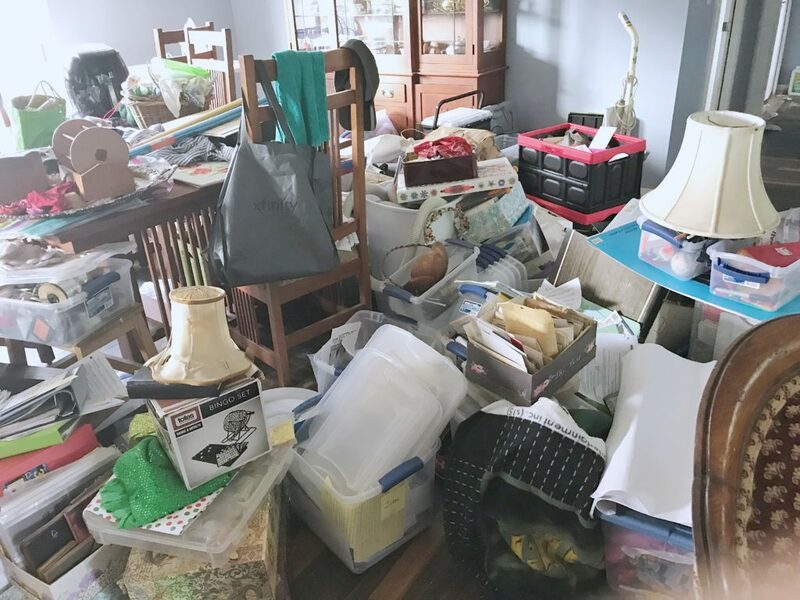 Our client’s staging area was her nearby dining room, which provided enough room to spread out the removed items and sort them. Involve the family in this process! 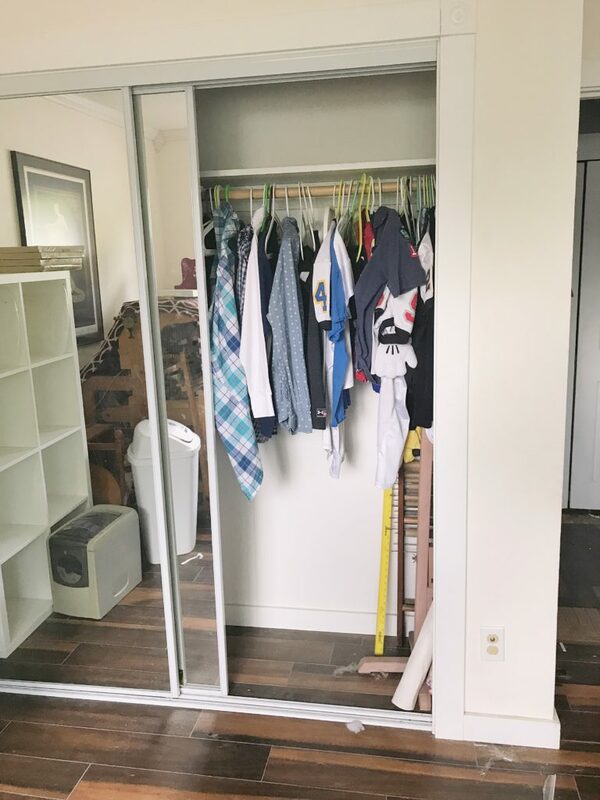 Our client enlisted the help of her three children to clear out the space. 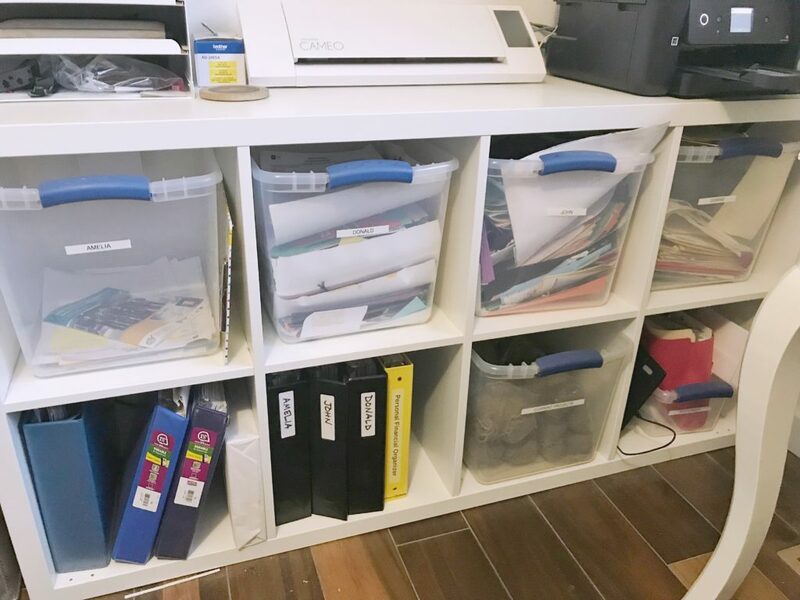 Not only do the extra hands speed up the unload process, engaging kids in organizing will create buy-in and give them ownership over the newly reclaimed space. After the macro sort is complete, go back through and micro-sort the items in each category, pruning as you go. After reimagining the space and clearing out, assign a purpose to it! Tip: Avoid catchall spaces by giving every room, cabinet, drawer, and shelf a purpose! Step 1: Start big – Establish an overall purpose(s) for the space. Like many home offices, this room serves multiple purposes in our client’s home. So, she ended up with three purposes for the home office: (1) paper management, (2) family organization, and (3) arts & crafts. Step 2: Get specific – Create “neighborhoods” within the space. In this room, we created a (1) “home office” neighborhood, an (2) “activities” neighborhood, and (3) an “arts & crafts” neighborhood. With the room subdivided this way, it’s easy to find what you need. 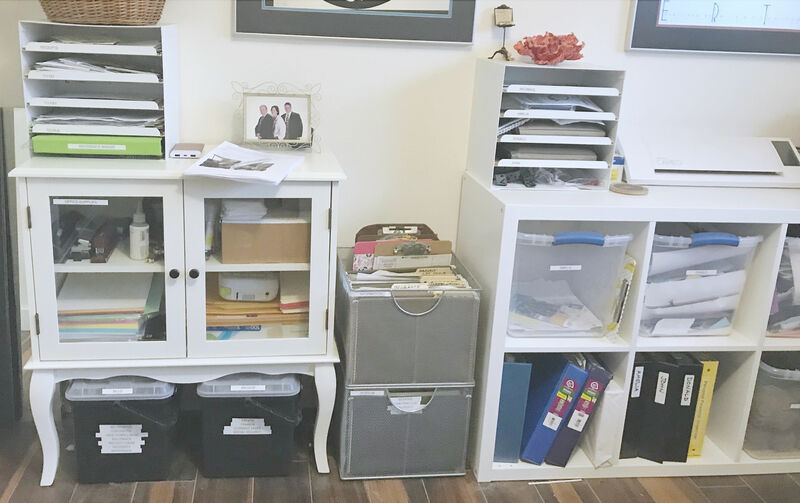 Assign a purpose to every space – Cabinets, drawers, shelves, bins, etc. Group like items together. Distinguish spaces by introducing organizing products and labeling. Avoid catchall spaces by giving every room, cabinet, drawer, and shelf a purpose! Now that you’ve repurposed your space, reset the room. At this point you’ve determined what will (and will NOT) live in the space. Be creative about resetting the space with a focus on good flow and easy access. Tip: It sounds like common sense, but it’s worth pointing out…the easier it is to put items away, the more likely you – and your family members – are to actually do it! For this client, her built-in vacuum tube was often left in the middle of the room. Our professional organizer knew the family needed an easy place to put it away. 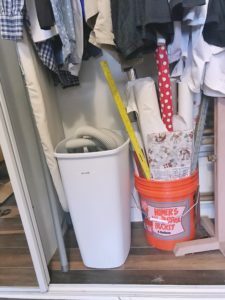 We repurposed a laundry bin and placed it with easy access in the closet. Now, returning the tube to its storage space is simple! It is small considerations like these that will help you reclaim your floor space and instantly improve the visual appeal of any room. The easier it is to put items away, the more likely you are to actually do it! If you reset the space and find that something isn’t working for you or items aren’t being put away, tweak your system. Good organizing systems are organic and adapt over time. Don’t get stuck with a set-up that isn’t working for you. Too little surface space is a common problem in home offices. Crowded desks just don’t provide the landing and processing space necessary for today’s management systems needed. We turned this client’s vertical cubby on its side and created a surface space for office equipment and paper systems. This added much-needed workspace for processing family paperwork. Using only the furniture we found in the space, along with some creative thinking, we were able to create a working family organization center for our client. We created an action center for paper processing. Incoming mail, along with permission slips and other paperwork requiring action lands on that individual’s tray. As the children get older, they can become increasingly responsible for managing their own paperwork. Teaching paper management skills will set them up for success later in life! Every family needs an ACTION center! This is household paperwork that requires action in the short-term. Paper should come and go from your action center frequently, being queued for action and promptly processed. Schedule time into your calendar to process paperwork; this will keep you on top of your hot action items. Label your action center with what needs to happen to those items. Schedule time into your calendar to process paperwork. The labels will vary based on your type of incoming paper and the way you think. When going through incoming paper, ask yourself “what needs to be done with this?” Typical actions are: To Pay, To Read, To File, To Discuss, etc. When establishing your own processing center; think action! Use verbs to label your trays of incoming paper and these imperatives will incentivize ACTION! Use verbs to label your trays of incoming paper and these imperatives will incentivize ACTION! 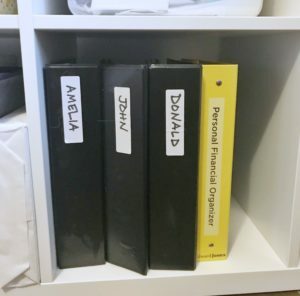 For this family’s financial paperwork, each child has a binder to hold their financial information. These binders are stored in a cubby in the family organization center. 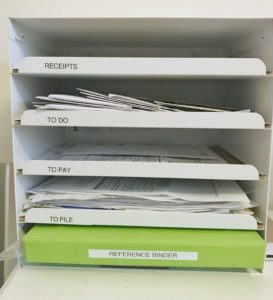 A simple, easy-reference way to store each family member’s financial accounts and investments is to binderize them! If you have school-aged children, you know the school work struggle is real! With so much incoming paper, projects, artwork, etc, how do you know what to save?! When you decide what to save, what do you do with it? The system we used for this client is a great short-term solution! We created a bin for each child in the family organization center. As special projects come in, they are stored in the bin. 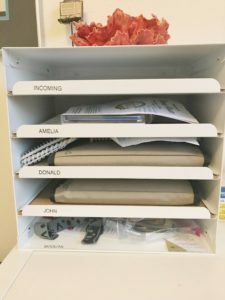 At the end of the year the client can go through the bin and determine what to keep and what to let go of for that school year. 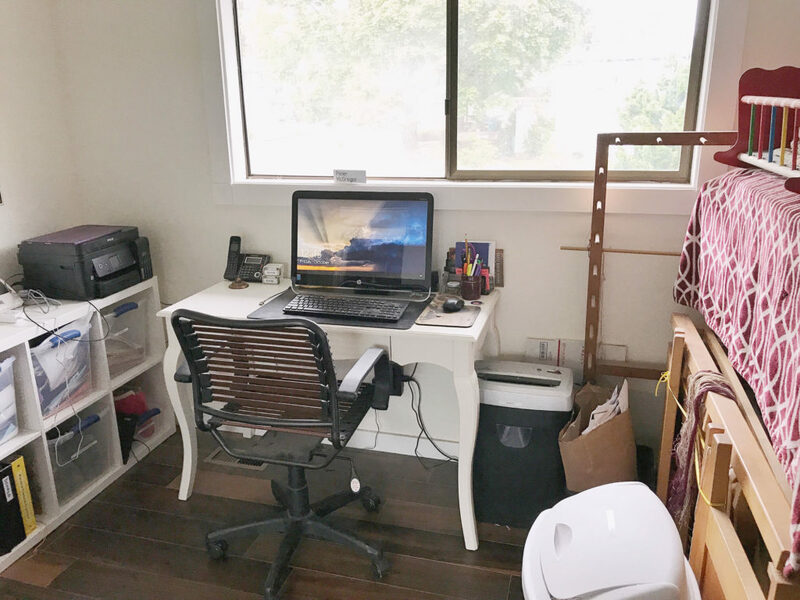 This home office is actually a repurposed bedroom, meaning it has a closet! 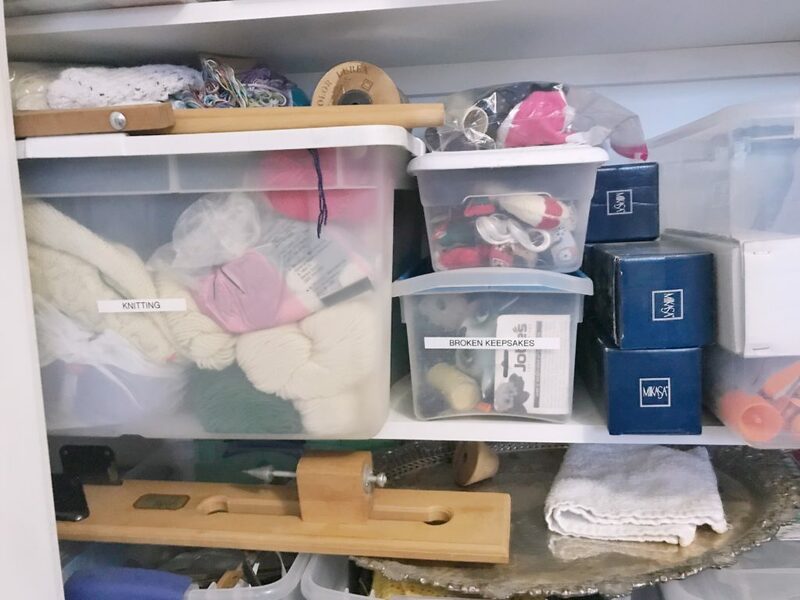 This was the perfect space to solve one of the family’s challenges – organizing uniforms. Between three kids and multiple sports and activities, the struggle to find uniforms became a big problem. So, we turned the home office closet into a uniform closet. Now, when the uniform gets washed it is returned directly to this spot. 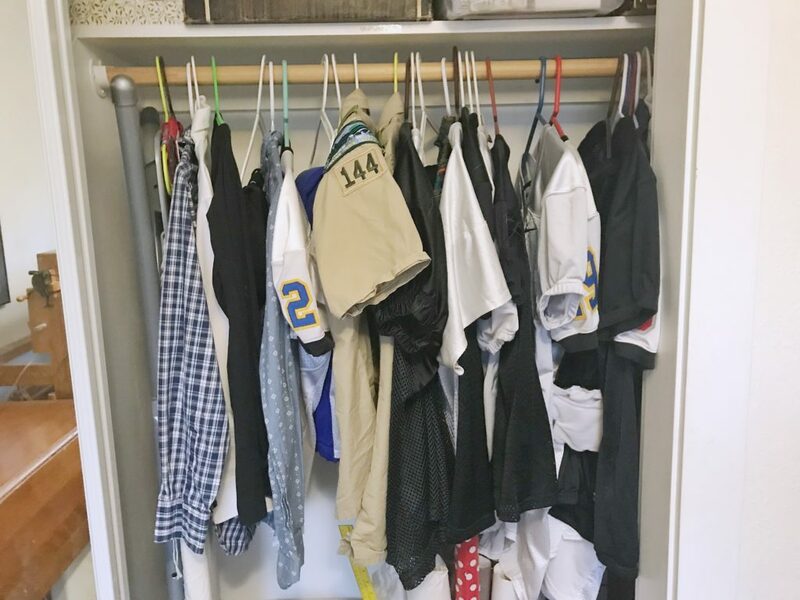 Kids are able to know exactly where their uniforms are when they need them! The final neighborhood we created was for arts and crafts. This client inherited antique arts and crafts supplies and needed a good way to organize them. With the help of our professional organizer, the client sorted and pruned the items. 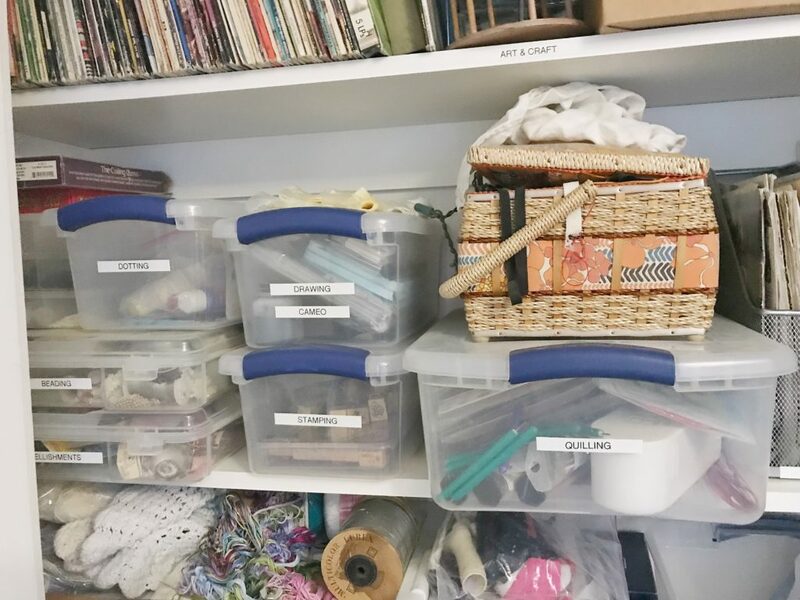 Now, the craft supplies are organized by type and labeled. The antique loom and sewing machine are accessible and the client is thrilled! 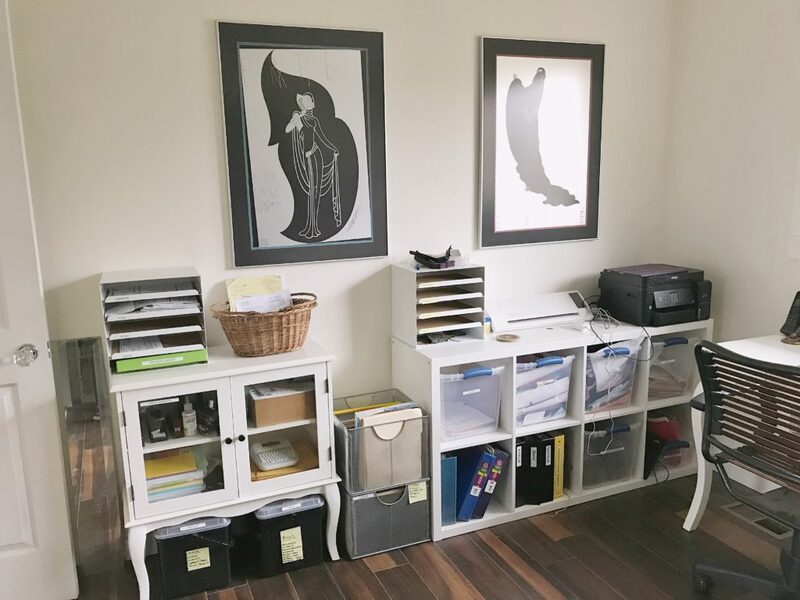 The best part about this home office transformation is that it has STAYED organized! The whole family is working together to keep the space usable and are reaping the benefits of their family organization center. I hope you’re inspired to reimagine your home and repurpose dumping-ground spaces into working family centers!